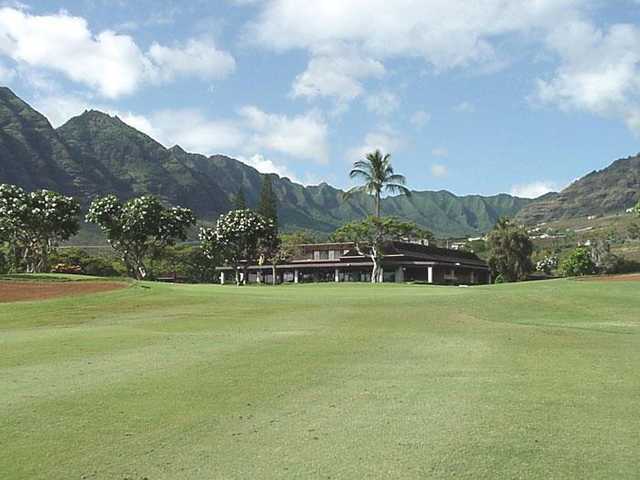 Makaha Valley Country Club sprawls across scenic lowlands that look across stunning vistas. Nestled within its namesake valley, the golf course has a rolling terrain that is abundant with mature trees, ferns, and tropical plants. The course was designed by William F. Bell, who is perhaps best known for designing the Torrey Pines South Course. 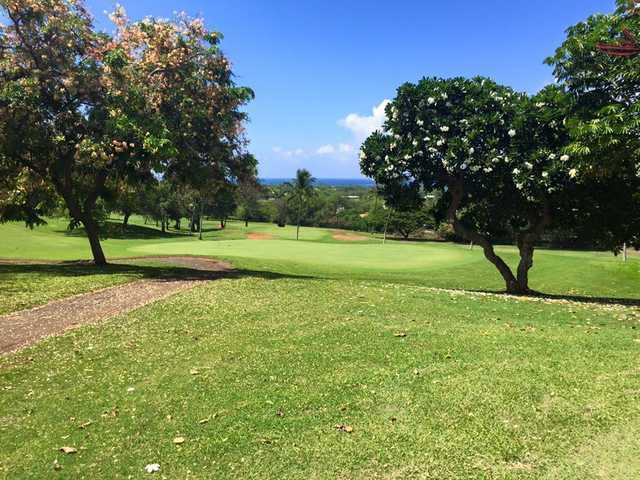 Makaha Valley Country Club sprawls across scenic lowlands that look across stunning vistas. Nestled within its namesake valley, the golf course has a rolling terrain that is abundant with mature trees, ferns, and tropical plants. The course was designed by William F. Bell, who is perhaps best known for designing the Torrey Pines South Course. 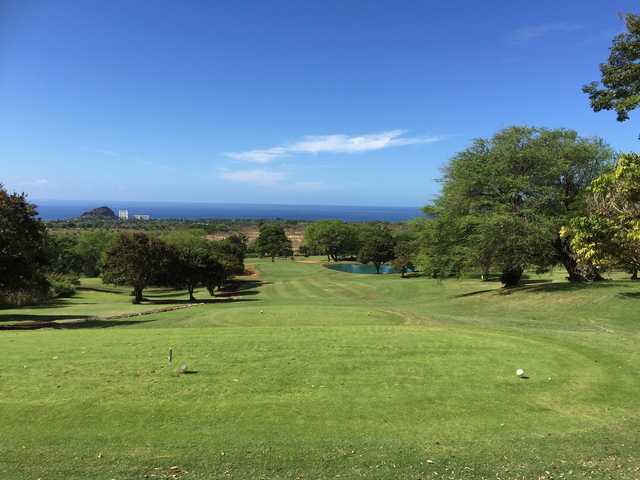 The layout has a good variety of holes, offering scenic par 4s, tough par 3s, and short par 5s. Thanks to the topography, golfers will face twisting doglegs and elevation changes that range from subtle to dramatic. 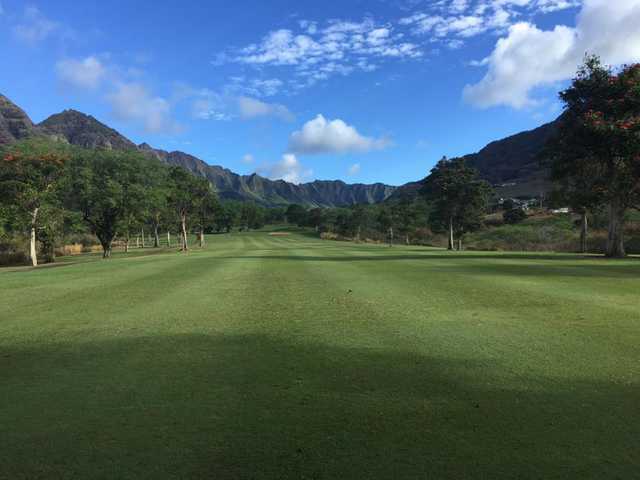 Makaha Valley Country Club finishes with what is considered to be one of the most demanding par-5 closing holes on Oahu. There is a lateral hazard and fairway bunkers along the right before the fairway doglegs sharply right, leading to a well protected, uphill green. This course has fallen into a sad state of disrepair. The car paths are like an off road experience. Tee boxes were not cared for and even some of the greens were not mowed. The person checking is in was surly. We were from out of town and rented clubs ($50 pp). I think they found them on the course and put together a bag. Embarrassing. Would not recommend. The course is fun to play,has some scenery, and a low to mid handicapper will be rewarded with a competitive score with solid shot making. The topography and foliage make the cart paths "rural" but drivable, but why not walk the back nine for a pleasant country relaxing time. The front nine hole separation invites cart use. Get a good rate promised, and plan your trip out opposite the traffic flow. Clubhouse open when play volume is high. Best deal is head out early, and catch Kapolei on the return route. Great staff, friendly and competent. Old style parkland course. A bit rustic and not a resort course. The club house needs updating and the facilities are aging. The course is in fair to good shape. My wife and I enjoyed the course and would play it again. Do not drive the cart paths!! the tree roots have them in need of attention. You get to see the local side of Hawaii and great beaches. Just a short 10 mile drive from Ko Olina. The course was in terrible shape. The cart paths were like washboards, and there was virtually no water available to drink on the course. It was quite expensive as well. The cost was $90, and it certainly wasn't worth it. What bothered me the most was that the website showed a property that has closed. Years ago, we used to stay at the Sheraton at Makaha Country Club, and it has since closed. The property was quite nice, and the pictures shown on the website were of that property. I consider that deceptive advertising. This course is about an hour away from Waikiki. We didn't have a way to get there, and a taxi cab would've cost us about $300 round trip! Luckily, our concierge told us about HiGolfGuide, who was able to take us out there for free! They were a real life saver. Apparently they provide free transportation to all the courses whenever you book through them. I wish we knew about them sooner! The course was enjoyable to play. Greens were smooth and fairways were maintained very nicely. It's a fun layout and forgiving to errant tee shots. The course had beautiful views of the ocean, and it wasn't crowded at all. Perhaps it's too far for most golfers? The drive was actually very scenic, and we got to see a part of the island we've never seen before. 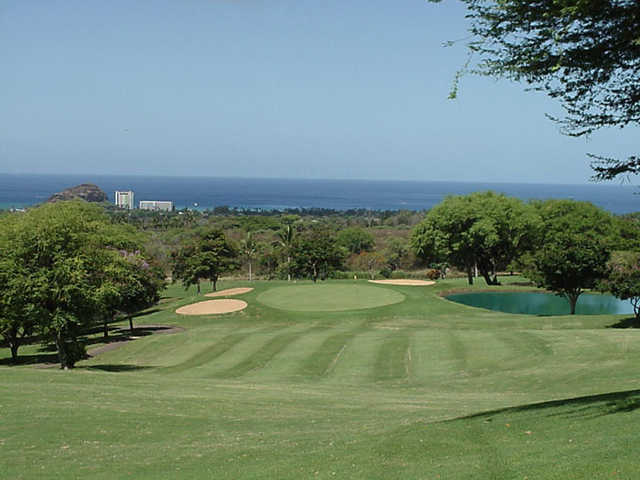 If you want to get away from the hustle and bustle of Waikiki, this course is definitely worth the time and money.